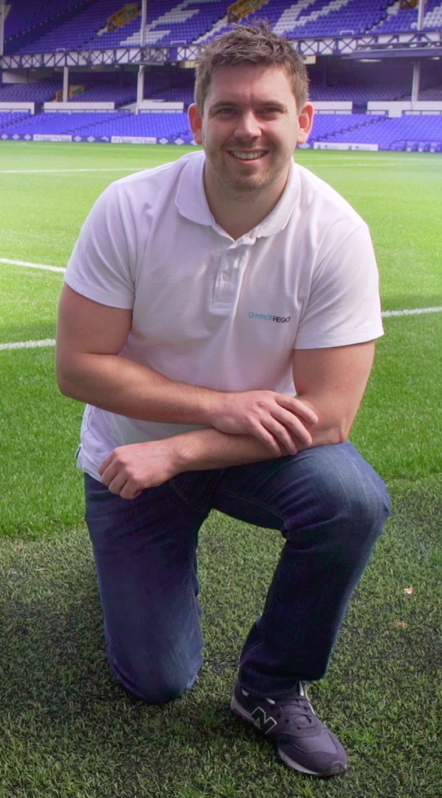 As I begin my eighth season in ‘’professional football", I'm thrilled to be working with a team of seasoned sports technology solution professionals who are introducing disruptive innovation to the professional football market. ChyronHego are unique in the sense that we are delivering tools that enable teams to work in both the Video (Coach Paint) and Data (TRACAB) domains in collaboration, while also working with high-end spatial data inside a video platform. Match Analysis in football has really come to prominence over the last 5 years. Whether it is because Clubs have bought into the philosophy of Billy Beane, or whether it is just the need for the collection of video and data within the respective Clubs has become ‘’the norm’’, football clubs are now investing in areas of Physical Performance, Video Analysis, Sports Science and many more areas that have been underdeveloped and underfunded. BUT WHY? Is it because Match Analysis is finally having a positive impact on on-field performance? Turning Data and Video outputs into meaningful, contextualised information is what has been missing. Everything we do from a Match Analysis point of view has to be translated into outputs that Coaches and Players understand. It must result in information from which they can learn and develop. BUT HOW? EMPOWER THE CLUBS. Design and provide the Clubs with the right visual and data tools backed by knowledgeable, invested technology partners, and then let the coaching staff make their own decisions. Also, be agnostic and allow Clubs to work in the individual ways their respective Managers and Coaches want them to work. 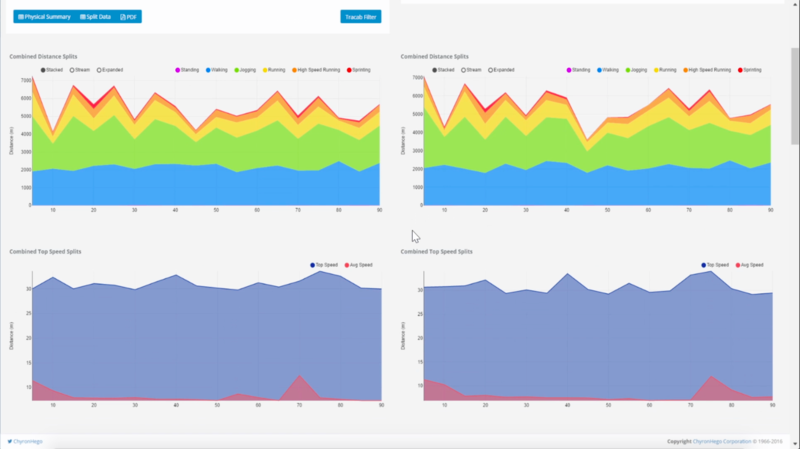 Do not try to change them, better them by leveraging the visual and data tools as an aid. There is no right or wrong way ‘’to do’’ Match Analysis. If the final output is that a player walks away having learned, developed or taken the information to heart and head, then Match Analysis has been a success. The work with Video and Data has progressed massively and it has been great to see the league-wide adoption of Coach Paint in both the Premier League and Championship, a visual tool born out of our work in TV (primarily through TV Broadcasters) - a tool that allows teams to work in many different ways. Whether it be an absolutely live presentation in the team hotel before a game, whether it be a laptop presentation to a single player on a coach travelling or a killer presentation an Analyst has spent hours putting together to present to the staff, Video now plays a massive part in our game. Whilst Video has continued to grow in terms of its consumption within the Analyst community, Data has gone the same way, with Physical Coaches and Sports Scientists wanting more data than ever before, no longer are Clubs happy to just be collecting GPS data from training, now they want a 7-day a week data set across all physical demands including physical output and well-being to biomedical data. Now the above two paragraphs are important because what I see [a lot] is Video and Data being used in isolation. Video Analysis sessions are put together without data in mind and vice-versa, data is used without consulting video. 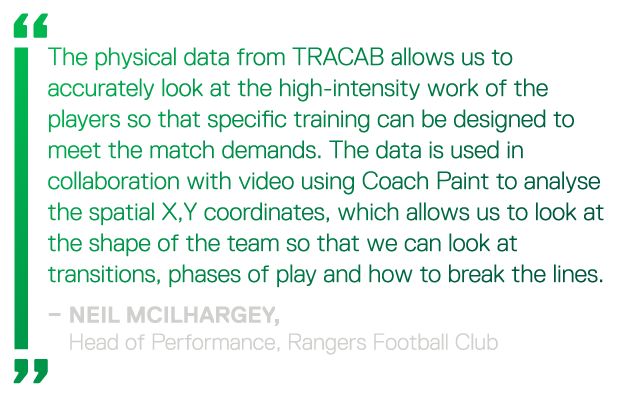 Taken together, Coach Paint and TRACAB are completely revolutionising this aspect of the game, synchronising video and data together to give more contextualisation than ever before. Patrick Vieira uses Coach Paint at New York City FC to engage players in a live coaching environment. The ability to visualise the physical data within video and the ability to validate physical output against video provides unparalleled opportunities that, until now, haven’t been fully explored. Data has evolved with more data points being collected on players, moving on from covering traditional points of interest such as distance and speed to providing tactical insights and many new metrics derived from spatial data. Within TRACAB we are now able to accurately quantify player pressure values, how the exploitation of space can be disruptive in team build-up and phases of play and much, much more. But beyond all of that, the data can now be visualised and fed back to players in a visual way that helps communicate the coaching points on a far more engaging level. I was speaking recently to a Club about the buying and selling of players and I used an example of buying a car without a MOT or Service history. Would you buy a car that didn’t have an MOT or Service Schedule? No. So why should we buy players who we know haven’t been MOT’d and Serviced correctly from a physical conditioning point of view? Why should we look to replace a dynamic midfielder who achieves certain KPI’s in-game with no contextualised data set to tell you whether [physically] he could do the same [or more] than his predecessor. There are many reasons we should be collecting as much video and data on our players and matches, but I wanted to talk specifically around the Coaching benefits and how, in my view, Match Analysis is evolving to the next level. Most of you who know me probably know how passionate I am about this industry and I wish I could tell you all about the exciting levels of innovation that are going on within ChyronHego. But rest assured, the innovation phase we have under-gone is just the beginning. Perhaps my next blog will take the acquisition and use of video and data to the next level. For now, I leave you in the week where we have just released Coach Paint 7.1, which aligns the Video and Data and also includes real world pitch and player measurements, such as the ability to quantify and analyse spatial movements of blocks and players. As Coaches, Sports Scientists and Analysts, you’re helping to shape the way our technologies help you to advance your sport. It’s more important than ever before for ChyronHego to work in partnership with the Clubs, and for ChyronHego to accelerate the pace of innovation and add more value to our Coaching tools.